The Eva Claiborne Institute offers a limited number of internships to qualified estheticians who are looking to jumpstart their careers in the spa industry. Three or six month programs are available; each requires a written as well as oral examinations. The Internship Program allows you to work closely with highly experienced professionals in a “real world” setting. 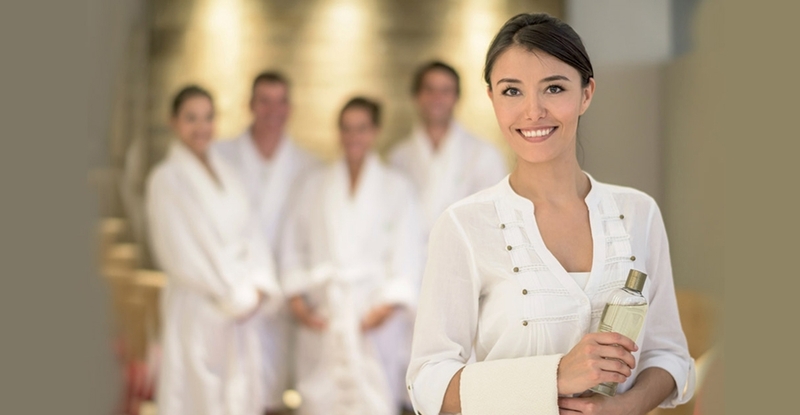 You will see first-hand how successful spa owners operate and efficiently organize their time, build and expand a loyal base of clientele, and promote retail sales. As the aesthetics and spa industry evolves, skincare professionals need to keep pace with the changing demands and techniques. The better prepared one is when seeking an estheticians position, the greater the chances of finding their dream job. The Eva Claiborne Institute recognizes the value of providing aesthetics professionals the education they need to confidently seek employment in the most respected spa and salon operations. For those already employed in the aesthetics field, the Eva Claiborne Institute Internship experience will help them recognize opportunities and methods to boost their career. Basic understanding of skin anatomy, cosmetic chemistry, and treatment terminology. Ability to complete the program hours without interruption. Openness to learning new professional methods and the ability to keep up with the program and content. Successful completion of all required training hours as specified in the Eva Claiborne Institute Esthetician Internship curriculum. Payment in full for all Eva Claiborne Institute tuition and materials prior to program completion date. Diligent attendance, promptness, and dedication to the Eva Claiborne Institute program. Respect and good conduct toward Eva Claiborne Institute educators, students, and clients participating in the program.